Rotana has signed a hotel management agreement with Al Ibaa Company to operate a five-star property in Iraq’s capital of Baghdad. Rotana will showcase its wide-ranging collection of modern and sophisticated hotels at the World Travel Market London. The company also highlighted the figures reflecting steady growth in the UK room nights at its properties in the UAE market. Rotana has announced a key promotion within its executive team, with Shaikha Al Nowais, previously director of internal audit with the Abu Dhabi-based hotel company, taking up the position of vice president, owner relationship management. Omer Kaddouri assumed the position of president and chief executive of Rotana in January 2014, as part of an illustrious 20 years with the company during which he held several senior management positions, including a five-year tenure as chief operating officer. The property is the first hotel project to be funded and developed in partnership with Al Diyar United Company, one of the leading real estate developers in the Kingdom of Saudi Arabia. Rotana has signed two new hotel management agreements to further strengthen the company’s presence in the home region and expand its footprint into Europe. 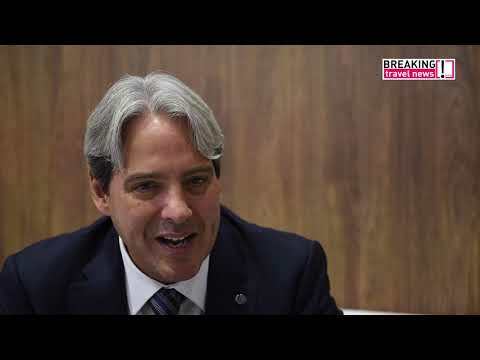 Breaking Travel News speaks to Mohamad Haj Hassan, area vice president for Rotana Hotels, as Amman Rotana is recognised as Jordan’s Leading Conference Hotel by voters at the World Travel Awards. Saadiyat Rotana Resort & Villas, a one-of-a-kind, five-star property with modern Arabic architecture and a regal presence, has opened phase one of the resort in the UAE capital. Rotana has announced the launch of the new Pearl Rotana Abu Dhabi. Located in the heart of the Capital Centre business district, the new hotel is only a few steps away from the National Exhibition Centre and 20 minutes from Abu Dhabi’s international airport.